Pregnant women have more sleep problems compared to non-pregnant women. 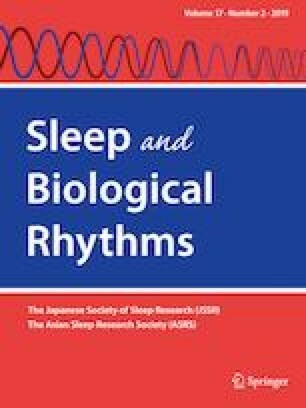 Our objective was to investigate the differences in sleep patterns by age among Japanese women enrolled in the Japan Environment and Children’s Study during preconception and pregnancy. Questionnaires on sleep status were administered to pregnant women twice in the first, second and/or third trimesters. Wake-up time, bedtime, sleep duration and quality of sleep were analyzed in 103,099 respondents. Women younger than 20 years of age awoke and slept the latest in comparison to all other age groups during preconception and pregnancy. Sleep time of women younger than 20 years of age was the longest in comparison to other age groups. The wake-up time and bedtime of teenage mothers were delayed from preconception to second or third trimester, but they did not display any statistically significant changes in other age groups. Moreover, the younger the pregnant women were the more sleep trouble they had despite reportedly being tired, and felt more sleep-deprived despite having had enough sleep time in both second and third trimesters. The sleep state of pregnant women differed by age, with younger women experiencing more sleep trouble and feeling less rested compared to other groups. In future studies, the influences of sleep during pregnancy on the health and development of the children of these pregnant women will be clarified. Members of “For the Japan Environment and Children’s Study Group” are listed in acknowledgement section. The authors would like to thank the participants in the JECS. We also thank to all the staff members of the JECS. Members of the Japan Environment and Children’s Study (JECS) as of 2018: Reiko Kishi (Hokkaido University, Sapporo, Japan), Nobuo Yaegashi (Tohoku University, Sendai, Japan), Koichi Hashimoto (Fukushima Medical University, Fukushima, Japan), Chisato Mori (Chiba University, Chiba, Japan), Shuichi Ito (Yokohama City University, Yokohama, Japan), Zentaro Yamagata (University of Yamanashi, Chuo, Japan), Hidekuni Inadera (University of Toyama, Toyama, Japan), Michihiro Kamijima (Nagoya City University, Nagoya, Japan), Takeo Nakayama (Kyoto University, Kyoto, Japan), Hiroyasu Iso (Osaka University, Suita, Japan), Masayuki Shima (Hyogo College of Medicine, Nishinomiya, Japan), Yasuaki Hirooka (Tottori University, Yonago, Japan), Narufumi Suganuma (Kochi University, Nankoku, Japan), Koichi Kusuhara (University of Occupational and Environmental Health, Kitakyushu, Japan), and Takahiko Katoh (Kumamoto University, Kumamoto, Japan). This study was funded and supported by the Ministry of the Environment, Japan. The findings and conclusions of this article are solely the responsibility of the authors and do not represent the official views of the above government agency.